A total of 4063 voters came out - that's 62% of the 6598 registered voters. That is considered a respectable turnout for a by election, but significantly less than the 2012 general election where 74% came out. Polling Area #75 in Bullett Tree had 74% turnout with 1,137 persons voting. 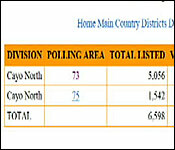 Polling area #73 in San Ignacio had only 58%, or 2926 of the 5056 voters coming out. Again, the 13 ballot boxes have been taken to the Center for Employment Training and counting is expected to start shortly. That's about 300 votes per ballot box, so first results are expected by around 8:30 pm. 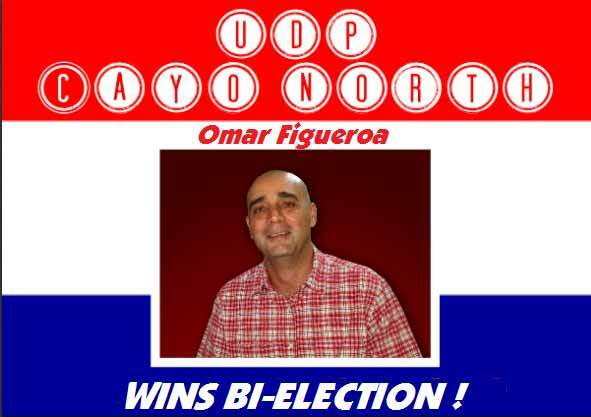 The UDP wins the by-election making Omar Figueroa the new elected Area Representative for Cayo North. He captured 2669 votes cast over Richard Harrison's 1340. 51 were rejected. 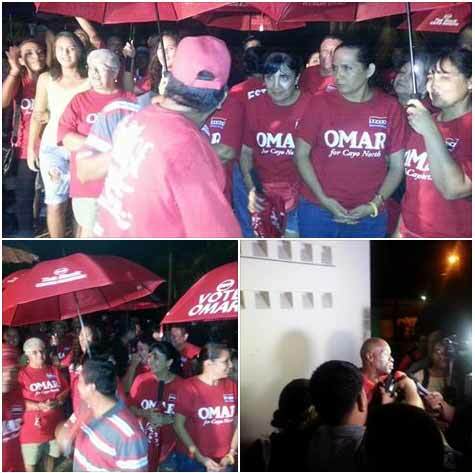 UDP Omar Figueroa elected as the new area representative building momentum for the UDP for the upcoming March 2015 municipal elections. UDP Omar Figueroa received 2669 votes and PUP Richard Harrison received 1340 votes representing close to a 2-1 margin. Damn shame Omar left conservation for politics.